In this series of blog articles, we’re taking a look back at the year that was for agricultural commodities and provide our insight for the year ahead. This instalment highlights 2018’s key movements in grain markets and what to keep your eye on in 2019. The east coast of Australia has been ravaged by poor growing conditions in 2018. Although the drought has been widely publicised, farms have also been impacted by hail, storms and frost further exacerbating the already poor production potential. The present forecast for wheat production in the eastern states (SA, VIC, NSW & QLD) is currently estimated at 7.2-7.5mmt. This is the lowest level since the 2006/07 crop and the third lowest in the past twenty years. In the period since 2006/07, east coast domestic consumption of wheat has increased dramatically which intensified the impact as demand exceeds supply. In contrast, Western Australia has taken the mantle of ‘production region of the year’. Although there were fears that frost would badly hamper Western Australia’s ability to produce a crop, however the fears were largely unjustified with production estimated at 9.6-9.9mmt. This marks only the third time in history that the west has produced more than 50% of the nation’s wheat (figure 1). The northern growing region in New South Wales and Queensland suffered through a lack of rainfall during the winter production period. However, during the last three months of the year received above respectable levels of rainfall. The late rainfall was welcomed by summer croppers, leading to increased planting. This rainfall will provide some surety to the sorghum crop, as there should now be sufficient moisture to get the crop through to a close to average finish. The last quarter of 2018 has seen global markets unchanged, with the average for the quarter down 7¢ per bushel and up A$1/mt. This is largely unsurprising as the last quarter of the year has few surprises to move markets drastically higher or lower. This is due to the majority of the worlds grain harvest being complete, providing an element of clarity. At a local level the picture is very different, with local pricing diverting from the international market due to drought conditions. This has resulted in wheat pricing in eastern Australia rising to levels not seen since prior to deregulation. Domestic demand in the eastern states has led to substantial increases in pricing levels; Geelong +A$57 & Port Kembla +A$45. There has been a flow-on effect to WA prices, as transshipments price competitively. 2018 was a year where trade scuffles broke out between the US and China. This lead to a lot of uncertainty in the market. Initially, the US targeted Chinese imports, however, retaliation by China targeted US agricultural exports. The biggest impact was felt in soybeans with US exports into China being extremely important for American farmers (and Trump’s support base). The tariffs leave many questions about the capability of China to continue with trade restrictions. Over the past ten years, China has on average imported 62% of the worlds export soybeans. This places a huge strain on China’s ability to find alternate sources, especially considering the US is providing 40% of the world’s exports. To satisfy the demand into China without paying tariffs, close to 100% of the global trade in soybeans (ex USA) will have to go into China. This has huge have flow-on impacts into other soybean destinations, which will likely change origin to the USA. US-China negotiations are currently underway and have the potential to colossally impact our economy. A positive outcome will see strong trade flows between China and the US, which will then carry through to the Australian economy due to our reliance on China as a trading partner. If negotiations end poorly, it is highly likely that the Chinese economy will stall due to the importance of the US economy to their manufactured exports. 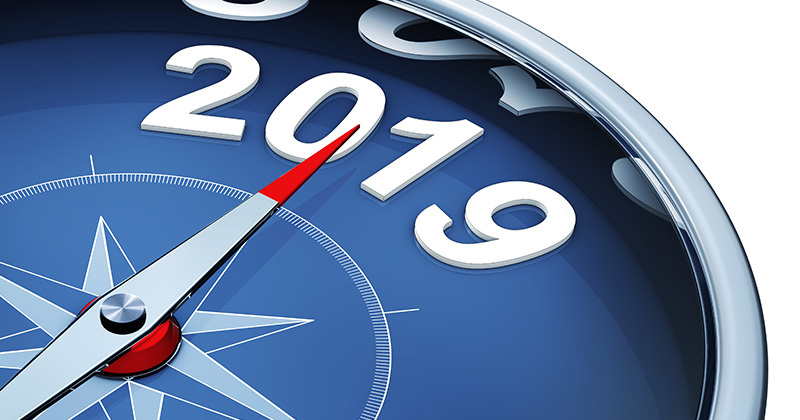 The first half of 2019 will see all eyes look to the skies above the northern hemisphere. This is the important period of time where the 2019/20 crop will be made. 2018 was the first year in the past five where production fell below consumption. The world was assisted by strong stocks globally, however, the situation will be tighter this year with the majority of stocks held in China. China as a nation is a large producer and have huge stockpiles in their inventory, yet it very rarely sees the light of day in the export market. The average exports from China since the turn of the decade have been 917kmt. The largest year of exports since 1960 was in 2007/08 with 2.8mmt. The high domestic price in China (Gov intervention) and historical precedence would point to China being unlikely to come to the aid of the global trade. When we exclude Chinese stocks from the global situation, the world is sitting on similar levels of stocks to 2008/09 and 2012/13. These were both periods when futures prices rose dramatically and importing countries were hit especially hard with food prices rising, especially in 2008. This means that major production issues in Europe, the Black Sea or the US could lead to a drastic upward movement in pricing at a global level. Prices in Australia have risen dramatically due to strong domestic basis. Pricing levels are the highest since the start of the deregulated market. We can see in figure 2 & 3, that these prices are ‘abnormal’ compared to the past ten years. It is important to understand that these prices are not the ‘new, new’. If we have an average or above year in 2019, the premiums currently in the market will erode very quickly. The market will move back to a pricing point based on the export market and will align with international values. At present no-one knows how the weather will treat us in the next year. If anyone tells you that they do; they are guessing. It therefore makes sense to investigate the forward market either through physical or futures to commence a structured sales plan for 2019/20. However, if Australia experiences another drought we will see basis remain at strong levels.